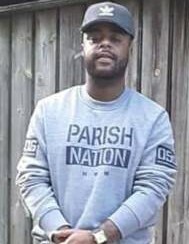 Mr. Tobious Devone "Goo" Cox, age 29, transitioned on January 21, 2019. The service of remembrance will take place on Saturday, February 2, 2019. The service will begin at 12Noon to be held at Greater Joy Baptist Church, 820 Nashville Road, Rocky Mount, NC 27803. Bishop Shelton C. Daniel serves as the senior pastor and will also deliver the eulogy. Visitation will be held on Friday, February 1, 2019 from 5:00 p.m. until 7:00 p.m. at Greater Joy Baptist Church.